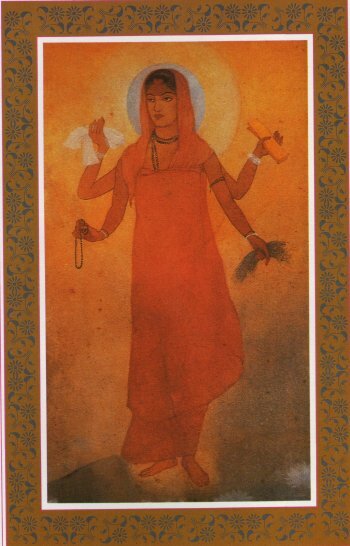 Founder of the Indian Society of Oriental Art, Abanindranath brought nationalism to Indian art in 20th century Bengal. Mention Bengal’s Tagore family and more often than not the discussion starts and ends with Nobel laureate Rabindranath Tagore. The influential family’s wide roots, however, harboured several talented men and women. One of them was Rabindranath’s nephew Abanindranath Tagore. A multi-talented man, Abanindranath was an arts and culture pioneer in 20th century Bengal. He established the Indian Society of Oriental Art and brought in the idea of ‘Swadeshi‘ in Indian art. He is hailed as one of the greatest icons of Indian modern art. On his 67th death anniversary — he died on 5 December, 1951 — here’s a look back at his illustrious life. Born in Calcutta on 7 August 1871, Abanindranath too followed an unconventional schooling like his uncle. After a teacher punished him insensitively at the age of five, his father Gunendranath Tagore withdrew him from the school. It was the time spent at home that let the artist in him bloom. At home, Abanindranath made the best use of his father’s paint box. His change of residence from Kolkata to Champdani at the age of nine brought the influence of nature on his art. After his father’s death, he was admitted back in school. The absence of art classes in school, however, never discouraged him, rather, he started illustrating Bengali verses he came across, something that added to his repertoire later. Abanindranath officially started taking art classes only at the age of 25 from Signor Gilhardi, an Italian artist, who was then vice-principal of the Calcutta Government School of Art. He attained proficiency in oil painting under artist Charles L. Palmer. He then came across E.B. Havell, principal of the Government School of Art, under whose patronage the young painter worked hard to revive India’s lost art at the institution. While he garnered his brush-wielding skills under Europeans, Abanindranath was a prominent face among those who ushered in a ‘nationalistic’ renaissance in India. In 1907, along with his brother Gaganendranath Tagore, he laid the foundation of the Indian Society of Oriental Art, an epithet for Indian nationalistic style of art within British institutions. He delved deep into rediscovering Indian art. He pioneered the traditional wash technique practiced by the Japanese. Some of his most famous paintings include Shahjadpur Landscape, Ullapara Station, Alamgir, Passing of Shah Jahan, among others. 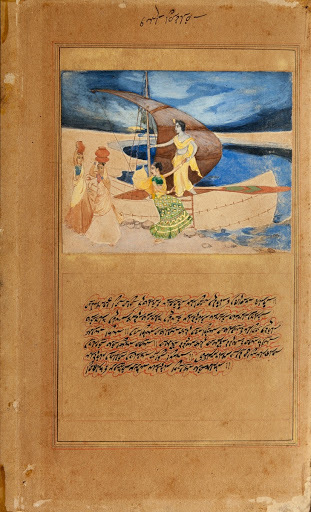 However, Abanindranth wasn’t just a painter. He was also a published writer of children’s books. 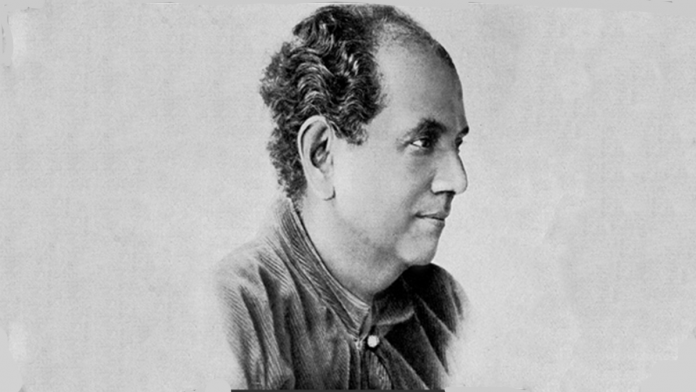 Several of his works like Budo Angla, Khirer Putul, Shakuntala and Rajkahini are considered Bengali children’s classics. Abanindranath imagined a free India with his creations on paper and canvas. His most celebrated piece, Bharat Mata, is read as his testimony of nationalist thinking and the vision of a free India. It was created in response to Lord Curzon’s order of partition of Bengal in 1905. 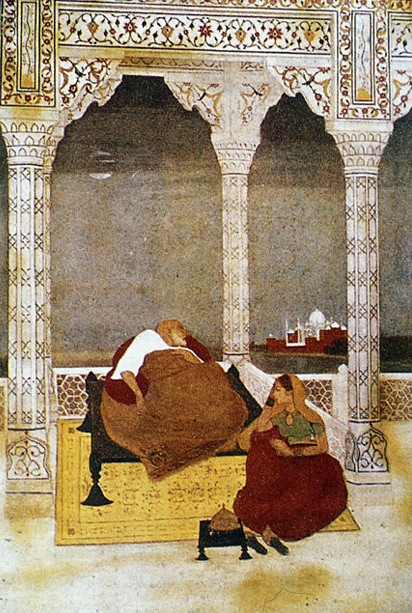 While Abanindranath worked hard to revive traditional painting techniques, he also experimented a great deal. His creation Krishna Lila saw him twist traditional techniques with eloquence. Courtesy his work, along with peers, in the 1950s, India saw the rise of the Bengal School of Art which incorporated elements like the Swadeshi movement, non-cooperation movement and others. As an artist, Abanindranath may have consciously moved away from his early European influences, but he continued to be recognised in Europe for his mastery. He also mentored the likes of modern art painters like Nandalal Bose, Asit Halder, Kshitindranath Majumdar, Jamini Roy, S.N.Gupta, among others.